An intimate garden retreat with all the feel of a genuine boutique hotel, Maison 557 is a seven-room bed & breakfast that prides itself on matching world-class standards with an individual touch. With just four rooms and three suites set in two adjacent colonial-style buildings tucked away in private gardens, there are few better places to escape the crowds of Angkor than this. Step inside and hide away. The owner has a long, and no doubt storied, career at the very top of the big-league hospitality industry behind him. 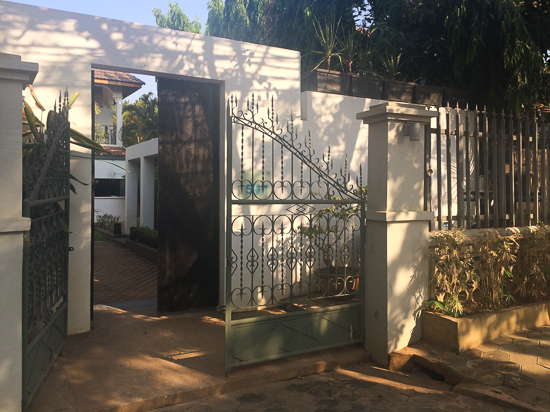 Buying Maison 557 was the realisation of a long-held dream, and he combines that knowledge of how it’s done at the top together with a commitment to personally ensuring that every guest gets the best out of their stay in Siem Reap. As soon as you step through the gateway, you’re transported into a separate world defined by tranquil gardens and the understated elegance of the first colonial villa built on this street. Built in 1952, the landmark building blends old-world charm with contemporary style. 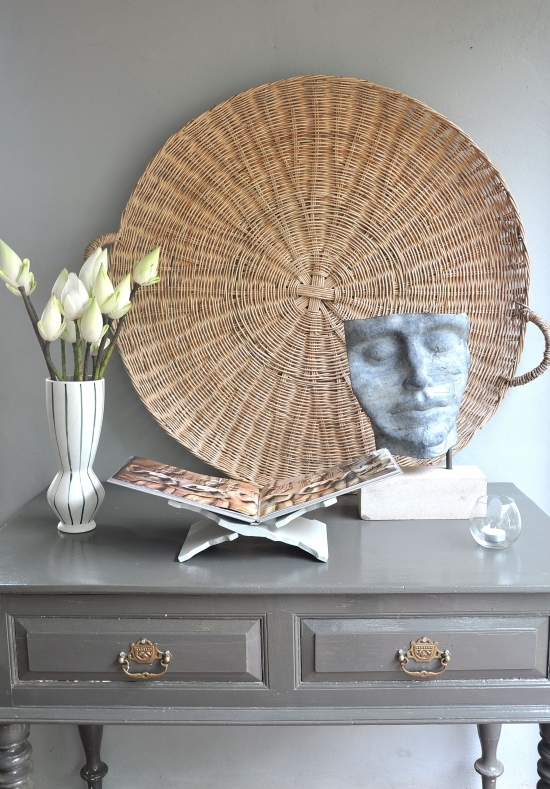 The result is elegant but informal. Individual touches make Maison 557 shine. The four main rooms are set around an outdoor pool which has its own covered terrace in addition to the individual terraces attached to each room. The rooms have cool tiled floors covered with rattan mats, and are comfortably furnished with king-sized beds dressed with white linens, and are individually decorated with quirky pieces and local art. They offer plenty of space, with the smallest (standard) room being 32 square metres, while the deluxe is a roomy 42 square metres. All windows are screened to keep out the bugs and have black-out curtains to keep out unwanted early mornings. Safes come as standard, as do air-con and fans meaning you can keep cool even with the doors open on to the pool. 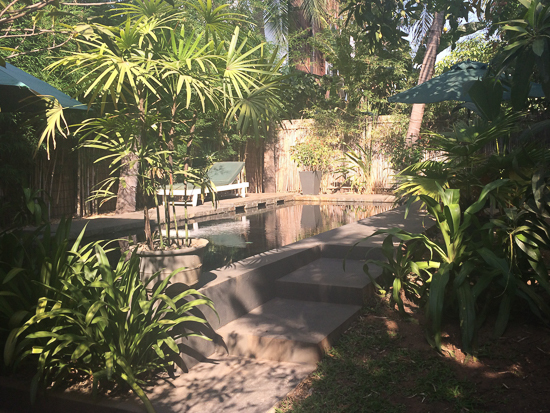 All the bathrooms are spacious, equipped with large showers, “Senteurs d’Angkor” toiletries and bath robes. Breakfast is included with the room rate. Of the three suites, the villa suite is the real star. Set in the main colonial building, the suite boasts a bedroom and lounge which give out on to a private terrace, and private pool and garden. The garden and loft suites are attached to the other building and offer seclusion and space. A breakfast of tropical fruits, yoghurt, house-made muesli, breads and pastries, eggs any style, fresh juices, and tea or coffee is served daily in the courtyard, unless you prefer your personal tray to be brought to your suite to enjoy in bed, or on your private terrace. The restaurant does not offer lunch or dinner, but with so many options nearby and the centre of town only a five-minute walk away, that hardly seems like a loss. Check rates at Maison 557 on Booking.com. Loft suite. Additional double bed possible. Room: Suite, low season: US$90, high season US$90. Notes: Loft suite. Additional double bed possible. 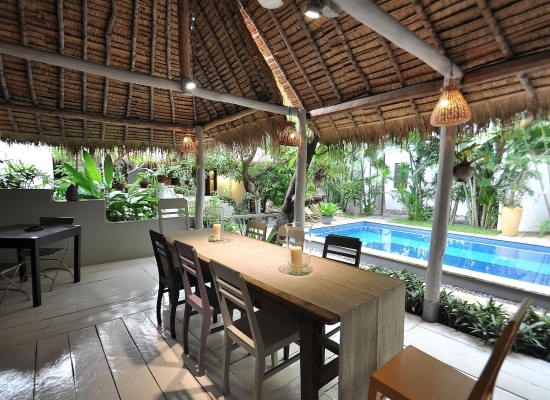 Room: Deluxe Suite, low season: US$130, high season US$130. Notes: Garden suite.